The Timelapse Helper iPhone & Android app is a companion for anyone interested in timelapse photography. 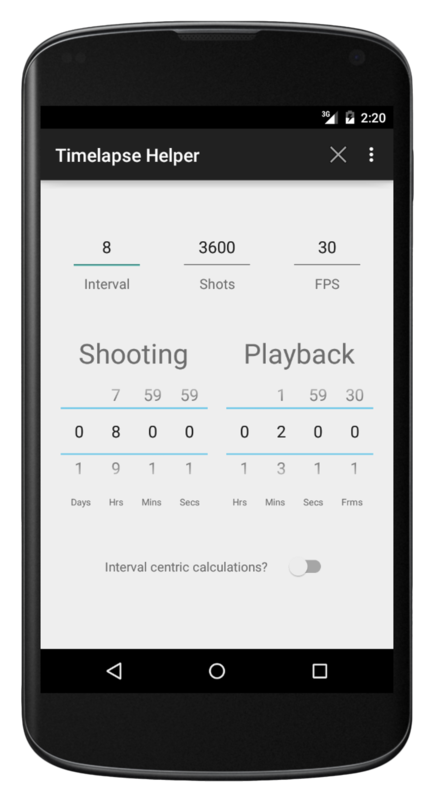 It's a simple app to help you calculate the shooting time needed to create timelapse footage of a desired playback duration. 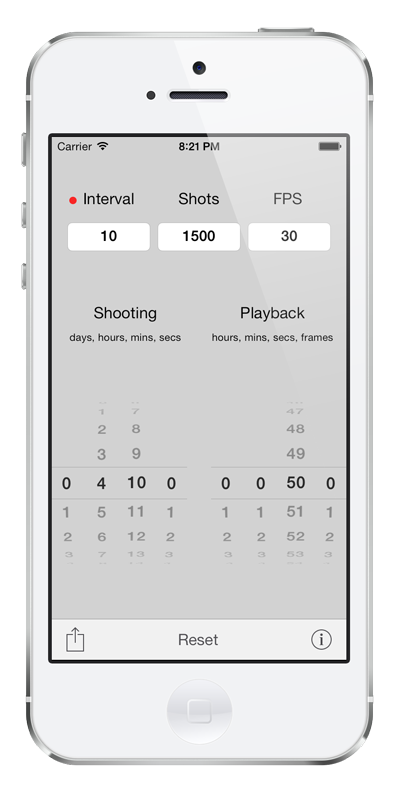 Set the interval time (in seconds) between photos, the frames per second that you'd like in the finished video and the app does the math for you. There's even an email button to send your calculations to your friends or camera crew. Based on the original Python code for PC written by Dan Thompson, this iPhone app is FREE software released under a GPL license. --> Download the app from the Apple App Store. --> Download the app from the Google Play Store. Special thanks to Pix for his help with optimisation & bug fixes. Written & designed by Simon Loffler.